Today marks the last Weekly Wins of the year. If you haven’t been keeping up (how dare you! ), not to worry. We’ve compiled some of the best stories from 2017, highlighting the trends that conquered 2017. The countdown is on! Pour a glass of bubbly, and get ready to ring in the new year with some Weekly Wins; best-of-the-best edition! This year, we saw a ton of advancements for artificial intelligence. While some people fear AI, others embrace it by testing and pushing its capabilities. 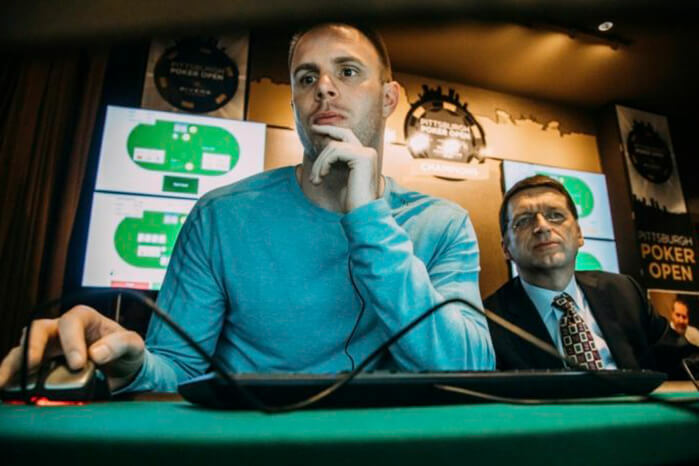 In January, we watched an AI program called Libratus beat poker champions for the first time ever. The “Bots vs. Pros” trend continued throughout the year with the world’s best Go player losing to Google’s AlphaGo AI and Elon Musk’s Open AI destroying the world’s best Dota 2 players. In February, we learned about a surgeon using virtual reality to relieve the pain and stress of an operation, decreasing the need for heavy sedatives and lowering costs. At the time, the potential of virtual reality for good had only begun to be realized, but as the year went on, many more philanthropic VR projects arose. For example, Google’s Daydream Impact program (launched earlier this month) gives non-profits the tools and training they need to use VR to impact people in ways related to their causes. Plus, VR dolphin-assisted therapy became a thing. Is Dominos the greatest tech company of our current age? This was the question we were asking in March when we discovered that Dominos had outperformed tech companies like Amazon, Apple, Facebook, and Google, and had plans for automated pizza-delivering robots. Throughout 2017, pizza brands continued to promote themselves with clever technological stunts and innovative digital marketing strategies. In fact, our creative director Jackson Murphy wrote all about these pizza tech trends in his Forbes article. April was a fun time for smart speakers. Back in the spring, Burger King performed their infamous Google Home hack in their “O.K. Google” Whopper commercial. 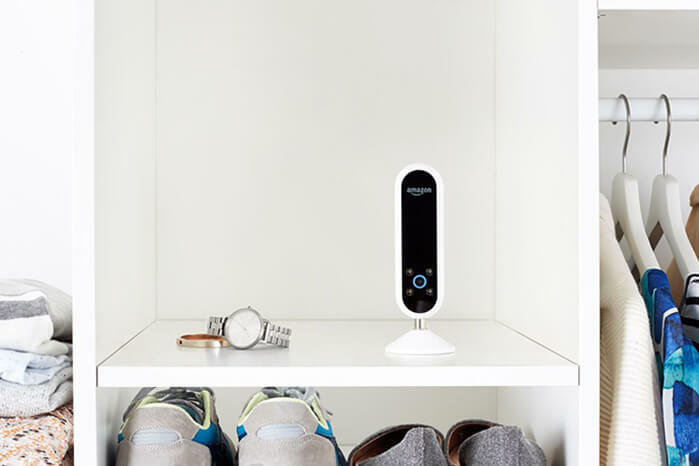 It seems like this was just the beginning of the boom around digital assistants, with the launch of Apple Homepod occurring a few months later. Burger King’s genius idea really kick-started the conversation around connected homes, a popular 2017 topic. National Donut Day took place in June, so Drone Dispatch celebrated with dronuts! The nationwide drone service delivered fresh donuts by drone across Denver. 2017 also proved that drones aren’t just for fun and games. This year, drones were also used to combat poaching of endangered animals, transport defibrillators for emergencies, and deliver blood to patients in need. Researchers are asking how artificial intelligence can be used in entertainment and exploring how AI can help create more impactful content. Back in June, Dolby Laboratories was measuring and tracking emotional responses to movies, and Disney Research was using a facial expression tracking neural network to watch and predict how audiences will react to movies. Then earlier this month, a new article was released by Fast Company exploring how AI can predict how plots, images, and music can affect our emotions. In August, we were treated with yet another AI name generator. This time, it was for hilarious craft beer names including Bopberry Stout, Bigly Bomb Session IPA, Heaven Cat, Third Danger, I The Moon, Whata Stout, and more. The neural network naming game has been popular all year long. Earlier in the year, we had a good laugh at paint names – like Stanky Bean and Stoner Blue – and metal band names – like Inhuman Sand and DragonForce – all generated by neural networks who, I’m convinced, are just trolling us. 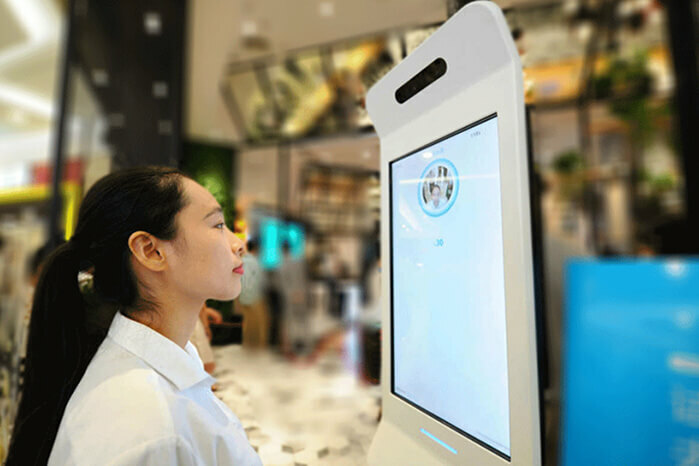 KFC introduced a “Smile to Pay” system back in September, a facial payment system that uses facial recognition, a 3D camera, and a “live-ness detection algorithm” to identify the person paying, and remember their orders. Then last week, a similar kiosk came to the US at Caliburger, advertised by showcasing a mother of five struggling to remember each of her kids’ orders, then breathing a sigh of relief at this grand innovation. Now you’ve just got to show your face to order your combo (or to unlock your iPhone X, something else new for 2017). What a time to be alive. In October, Instagram released Kudos, a mobile app designed to introduce 8-13-year-old smartphone users (a.k.a. every 8-13-year-old today) to photo sharing and commenting, while under 24/7 supervision. Children are growing up in a digital age, and creating safe spaces for them to engage in social media makes sense. In fact, a few months later, Facebook followed suit and released Messenger Kids, a child-friendly version of their messaging app. HBO launched Mosaic, a 7.5-hour interactive murder mystery mini-series that allows viewers to decide the viewing order of the story, pick which characters to follow, and jump between characters’ perspectives as the action unfolds. Interactive storytelling with branching narratives is becoming increasingly popular as television and film continue to merge with gaming. Last but not least, at the end of 2017, we saw the release of Lens Studio by Snapchat and mixed reality goggles by Magic Leap. Lens Studio is a free desktop app that allows creators to build their own augmented reality lenses. 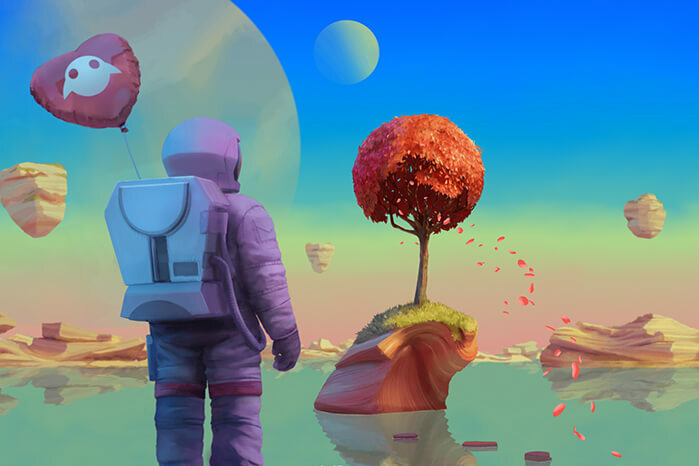 Magic Leap One is a mixed reality system for creators who “want to change how we experience the world” (to be released in 2018). Plus, ARKit came out this year, too. These are just a few examples of the many ways that AR, VR, and everything else in between is being put into the hands of the public for all to enjoy, embrace, and create. It’s been a wild ride! Happy new year, see you in 2018!